Start your career as an IT Contractor – set up your own business, pass interviews and land jobs. Packed with top IT contracting tips, this guide is an absolute must for any aspiring IT Contractor. If you are a computer specialist, who wishes to work on a contractual basis, then working as an IT contractor could be the perfect job for you. IT contractors provide clients with a contract based business service, in contrast to permanent staff who work on an ongoing basis. 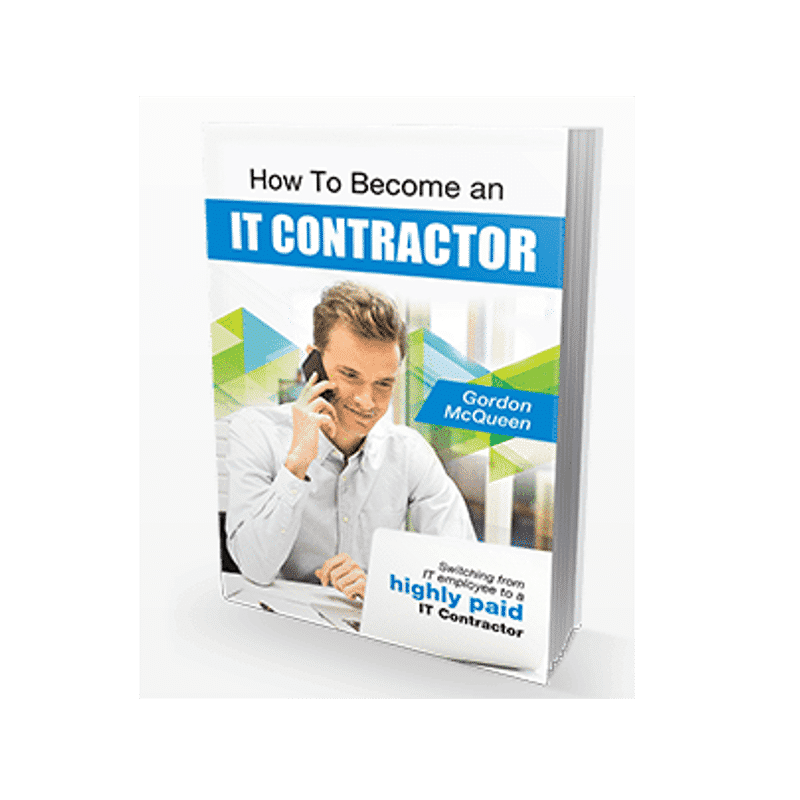 In Gordon McQueen’s fantastic guide, How To Become An It Contractor, you will learn everything about IT contracting. From setting up your own business to passing interviews, this book has it all. Packed with top IT contracting tips, it is an absolute must for any aspiring contractor. An IT contractor works on a contractual basis, to provide a service to paying business clients. Contractors work either directly for the client, or are assigned work from a recruitment agency. Usually, contractors are hired to fill short or long term gaps within teams and projects, and will generally work for around 6 months. This often varies depending on the work and the client. Many contractors can end up working with clients for several years, providing the client is happy with the standard of their service. There are a huge variety of jobs available in the IT industry. This means that IT contractors, if they wish to branch out, can work in almost an IT based field that they wish. Jobs include being a Methods Consultant, Project management coach, Business Change Manager, Planning Consultant, Project Manager, Programme Office Manager, Development Manager and Implementation Manager. Some people take on a singular role for lengthy periods of time. The variety of roles on offer mean that IT contractors can constantly develop skills that they might not have if they were working as permanent employees. Given the wide variety of job roles available, IT contractors have a wealth of opportunities available at a huge number of different organisations. The author of this guide, Gordon McQueen, has worked in the IT department of companies such as the Bank of Scotland, Sainsbury’s, Morgan Stanley, Lloyds Banking Group and more. Working for such a large number of companies gives you a tremendous insight into the workings of many IT departments. You can see what works and what does not work well, and bring new information into your future roles. You also have the benefit of meeting and working with lots and lots of people. One of the greatest benefits of switching to an IT Contractor role is that it increases your ability to earn. You will make more money as an IT Contractor than you would as a permanent employee. To earn the same contracting, you would need a rate of £29 per hour (£217 per day). You will also save considerable amounts of tax. 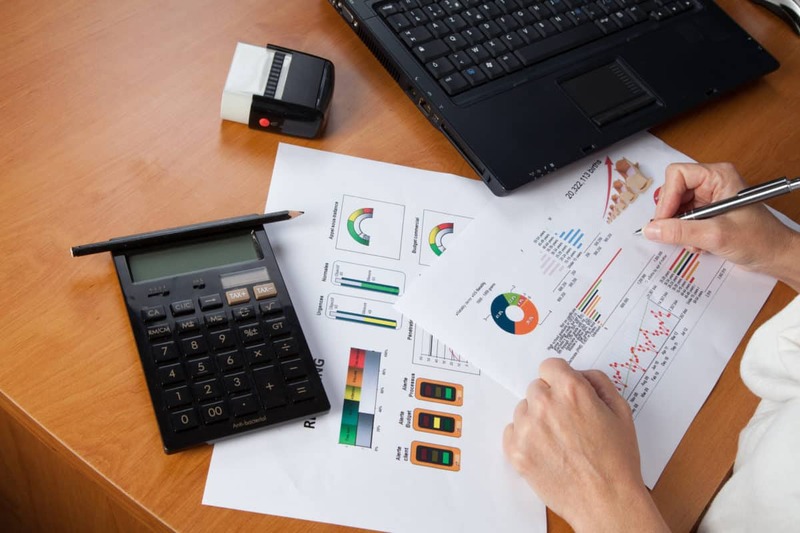 Purchase How To Become An IT Contractor for detailed financial advice on IT contracting. As an IT contractor, you are your own boss. You get to decide where you work, when you work and how much money you earn. It is all under your control. If you decide you want a few months off then you have the opportunity to do that. You are generally on a four week notice period, so if you don’t like your current role or just want to leave, you can hand in your notice and leave. There is none of the baggage you have with a permanent job to tie you to the company. Also, you have the choice of which companies you choose to work for. If a particular organisation doesn’t seem right for you, then pass it by and look for the next contract. By taking contracts in many different organisations you will have the opportunity to work with lots of different people. This is a good way of expanding your network, which can be very useful when looking for new contract work. You will work for many different managers, each with their own management style, which teaches you how to interact with people and how to bring the best out of yourself and others you work with. There is no guarantee of future work. The worst thing that can happen is that you will have four weeks’ notice to find a new job. Sometimes you can be treated as a second class citizen by the permanent employees. There will be negative employees in every organisation, but there are certain individuals who will even refuse to speak to contractors at all. There is no set career path or guide for you to follow, and no opportunities for promotion inside a company. There are no perks of the job, none of the days off for study or charity work that permanent staff members get. Even small things like contractors having to pay for the Christmas meal are a reminder that you are different to everyone else. WHAT QUALITIES DO YOU NEED TO BECOME AN IT CONTRACTOR? Given the range of specialities in the IT industry, there are always a huge number of positions available, but the competition is fierce. In order to secure a contract with a client, you’ll need to be able to demonstrate that you have the key qualities they are looking for. Having the ability to adapt to different conditions, working cultures and methods of working. This is absolutely vital for contractors, who will spend their life working in varied environments. Having the ability to get along with different types of people and establish working relationships. This is imperative, as you will meet a huge number of different people whilst working as a contractor. Having the ability to help others. IT contractors are hired for their knowledge and expertise. Both managers and employees will use contractors as a port of call for information and advice. You must be patient and understanding at all times. Taking initiative for your own career. While recruitment agencies can be extremely useful, as an IT contractor you also need to be prepared to branch out on your own and look for work. This will allow you to work without any restrictive clauses in your contract. Staying organised. Organisation is key for IT contractors. You’ll need to keep clients up to date with your contact information at all times and ensure that you are readily available at all times to provide assistance. Switching to contracting can be challenging, especially if the new contractor fails to change from the mindset of a permanent employee. Contracting is not suitable for everyone, and some new contractors quickly go back to permanent employment. For others, it opens up a whole new work life, which is both stimulating and rewarding. To be successful as a contractor you need to develop a contractor mind-set. Once you develop this way of thinking, you will find it easier to connect with and retain contracts. Always try to be positive, even in the face of challenging circumstances. Things do not always go well in projects, but always ask yourself these questions: “What’s good about it?” and “What can I learn from this?” Leave the whining and complaining to the permanent employees. If you are set a challenging deadline on a project, rise to the challenge, work extra hours, do whatever is required to meet the deadline, go the extra mile. Be willing to try a new role even if it is different to what you have done before. 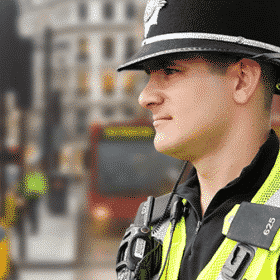 Whilst contracted to an organisation, you might be offered different roles. Even if you don’t have any experience in these roles, give them a go. It pays to be flexible. Sometimes you might even need to be willing to sacrifice on rate to keep working, or on location. Search for local jobs first and then expand outwards to the rest of the UK, Europe and so on. Earn a reputation on the job as a “a safe pair of hands”. This is particularly important if you want to return again to the same organisation. By ensuring you are reliable and deliver on your tasks, you increase the chances of having your contract extended, or of being recommend to other companies. A reputation is something that is hard earned over time, it serves as your passport to future work. Be low maintenance for your line manager. Your boss is not looking for problems. If you are going to bring them problems, then bring them possible solutions as well, along with your recommendations, or the course of action you have decided to take. Be decisive, take ownership and take action. These are the qualities your manager is looking for. Ask at the beginning what is expected of you, so that you are clear on what you have to do. Check out the client’s intranet site for their methodologies, processes and other ways of working so you can see how things are done in that organisation. If you are expected to produce a deliverable such as an Implementation Strategy, look for a template and previous examples to give you a guide as to what is required. Be willing to share your knowledge. After a few years as a contractor, you will have worked for many different organisations in many different roles. You will have seen the best practices and some of the worst, so your experience can be vital to an organisation. Very often you will be working alongside less experienced staff, so be willing to help them with on-the-job coaching. Be patient with your colleagues. Don’t be critical of how the company wants to do things. Sometimes you can clearly see that the way a project is being run is not right, it could be done better; but just because you can see that from your experience, it is not always wise to point that out. Criticism can be unwelcome and can give you a reputation of being a “know-it-all”. Remember, they are the client and they get to decide what they want. It is your job to do what the client wants, even if you think it is wrong. Always try to leave a contract on good terms with your employer and colleagues. Try to make friends, not enemies, along the way. Sometime in the future you may apply to work in that organisation again. Your client has no interest in your career; any responsibility for career progression lies with you. Your relationship with the client is through your agent. Clients do not normally deal directly with contractors regarding rates, extensions etc. If you are not enjoying your current contract, you have the freedom to change, which is good if you feel you are not being challenged. Think about how you can add value for the client: offer to do more, volunteer to take on additional responsibilities. As a contractor you are expected to have all the skills necessary to do the job. Training on the job is for permanent staff. You are expected to hit the ground running and be productive straight away. When the contract ends, the relationship with the client ends – you can however still keep in contact with staff from the company which will be useful in gaining future contracts with them. There are a number of differences between interviews for a permanent role and for a contract role. Firstly, there tends to be only one interview for a contracting role, and sometimes this can be a telephone interview, depending on the company. Secondly, the contract interview is generally conducted by the people you will be working for directly, unlike a permanent role where HR and other Senior Managers are involved. 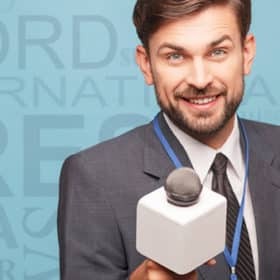 The interview is your opportunity to sell yourself. The key to interview success is to assess the client’s requirements and demonstrate how you have the skills and experience to meet them. You need to focus on what you can bring to the role and the value you can add to the client. Remember, it is not an interview for a permanent job, so the client is not interested in your career or what you could gain from the role. Be honest about your skills and experience, don’t pretend you know something when you don’t. Don’t be afraid to show some humour. Tell me about a mistake you made at work; what happened and how did you deal with it? teams can change their structure during the lifetime of the project. You also need to demonstrate that you can fit into the team and not “rock the boat”. Just like anything else in life, preparation is the key. As the saying goes, “If you fail to prepare, then prepare to fail”. Do your homework about the company and about the role. It shows the potential employer that you are interested in them and that it’s not just a job to you. Read the role description carefully and think about how your skills and experiences match to the requirements. If there is a skill or requirement you don’t have, then be prepared to be honest about it. Don’t let it put you off, just do some research about it beforehand. Another interview tip is to think about your own experiences with difficult situations and difficult people. What did you do and what would you do differently in future? These interviews are Competency Based, and are also known as Behavioural Interviews. In these interviews, the interviewers won’t ask what you will do, but instead, what you did. They want to know how you handled certain circumstances, in order to evaluate how well you will handle such circumstances in the future. Read the job description carefully and identify which of your qualifications, abilities or skills would be most suitable for the job. Prepare a list of questions that may be asked in a Competency Based Interview. Also, prepare answers to the questions. The interviewer may want to know about your behaviour in certain situations or your past experience, which may influence on the performance of the current job. The interviewer may wish to debate on certain problems during your working experience. He or she wants to know how you take on new challenges, and how you can resolve new problems. Don’t be too nervous if you don’t have much work experience. The interviewer simply wants to know how you behave under certain circumstances. Emphasise which abilities or skills have helped you to resolve problems in the past, or helped you improve your performance. Be coherent in your stories. Begin with a brief introduction to the problem. Then talk about your actions, and the result of your actions. Finally, summarise your approach and solution. Identify what you are good at. Consider your knowledge, experience, skills and abilities. Prepare a list of your strengths. Carefully review the role requirements to understand which requirements are the most important to the employer. Prepare persuasive answers by not only stating your strong points but also providing evidence for them. Show how you have overcome a weakness, e.g. describe something that was once a weakness but you have worked to resolve. For example: I tended to be a perfectionist and didn’t like to delegate to others. I have learned that in order to develop the organisation, everyone must be experienced with all kinds of tasks and this is very good for efficient teamwork. Suggest solutions to resolve a weakness, either partly or wholly. Solutions to a weakness may be training, mentoring etc. Never mention a weakness that relates to a crucial requirement of the job. Don‘t try to make up a weakness. Don‘t say you have no weakness. Nobody’s perfect; we all have weaknesses. This detailed and comprehensive guide has been created by Gordon McQueen, an expert within the industry. Using his years of experience, this book will show you how to become an IT contractor, how to construct a CV and how to market yourself to clients. It contains invaluable interview questions and advice, top financial tips and a wealth of information on how to get ahead in the industry. CHAPTER 1: Why switch to contracting? Make IT Contracting your new career today.